Home | Boss Complete Exteriors Ltd. Your flat/steep roofing specialist - serving Calgary & Surrounding areas. We are certified experts of all kinds of Commercial, Residential and Industrial roofing. Licensed, Bonded, Registered with WCB and Fully Insured. Need a New Roof at an Affordable Price? We offer and stand by our Workmanship, at affordable prices. 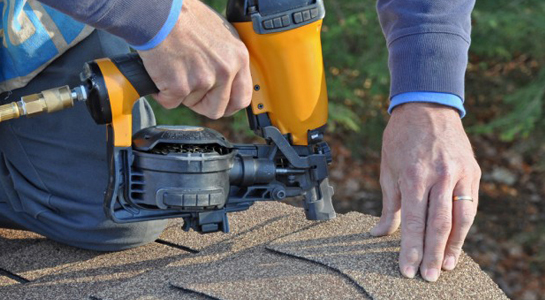 We provide the latest most innovative methods for roof installation, replacement, repair, restoration, re-roofing, and roof maintenance, in Calgary and surrounding areas. We also provide Flat Roofing, Siding, Eavestroughs, Soffits, Fascia, Windows, James Hardie Installs etc. services. The high standards we set for service and reliability have earned us an excellent reputation in our field. If your property is within our service area, we’d be happy to provide you with a free roof inspection and assessment of your roofing system.